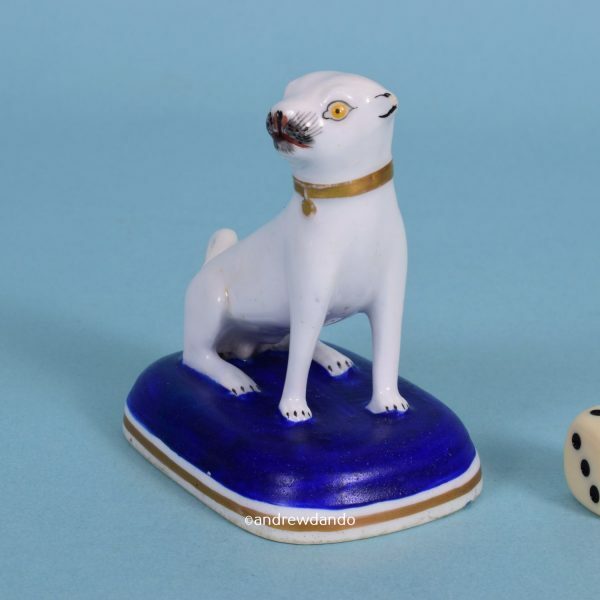 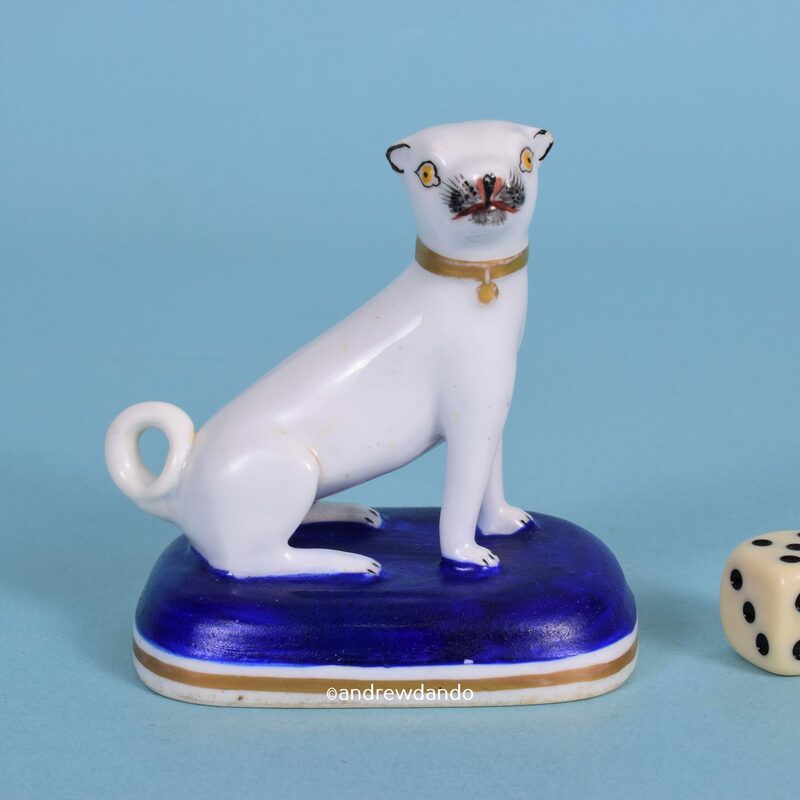 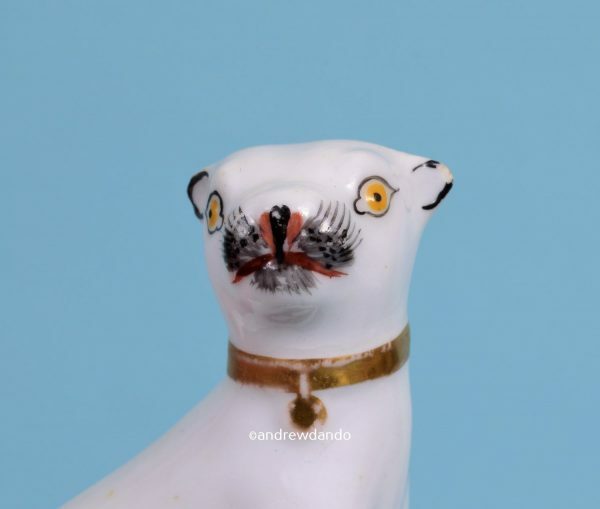 19th century Staffordshire porcelain model of a seated pug dog, on a dark blue base with gilt line. Marked ‘CB’ in red to underside of base. 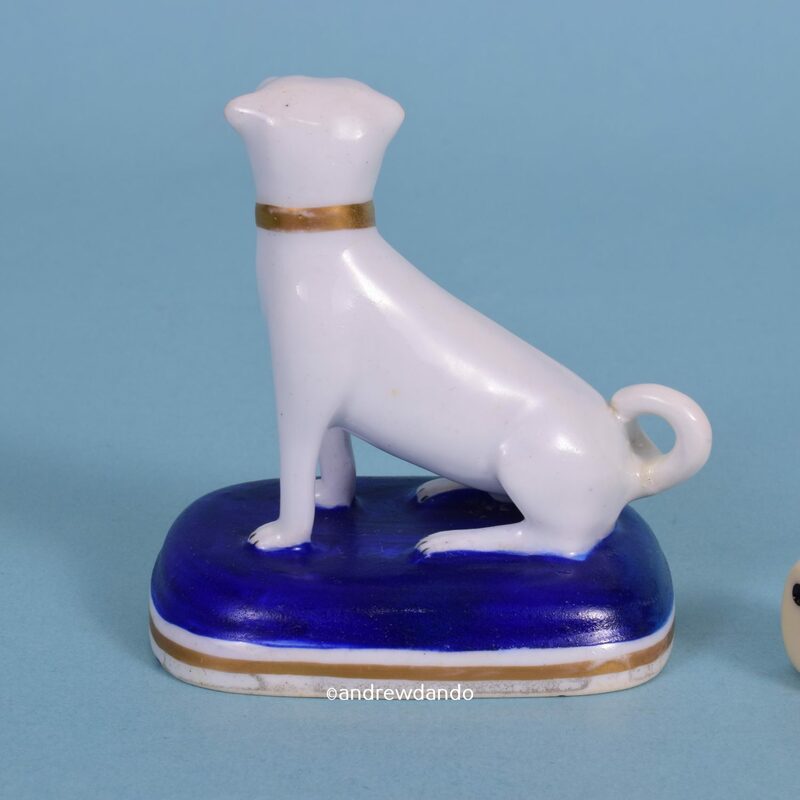 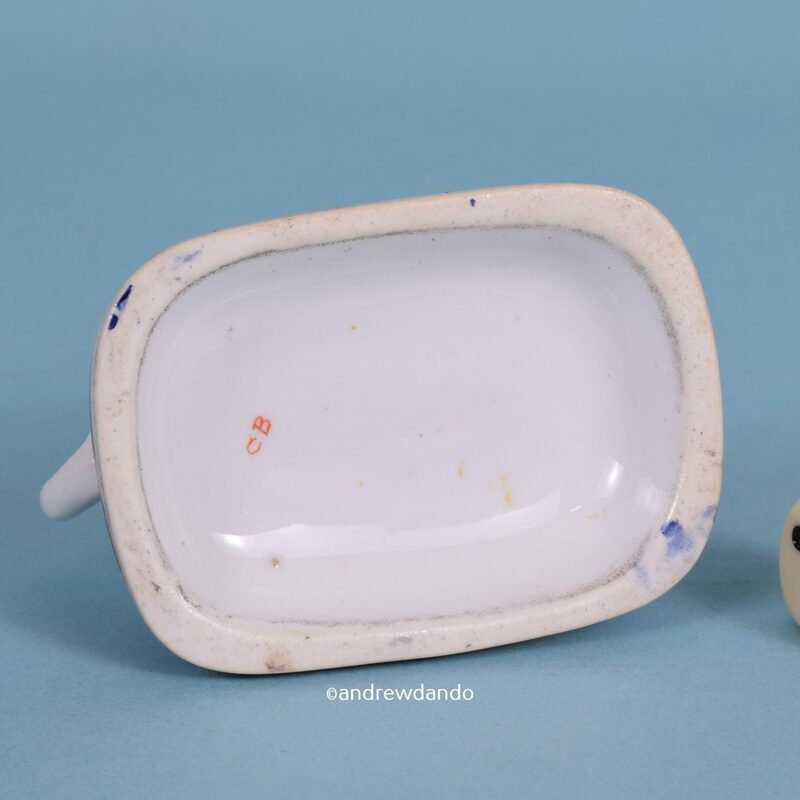 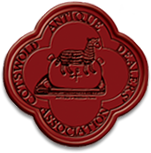 Condition : Restoration to tail, chip on ear & tiny flakes of blue enamel.